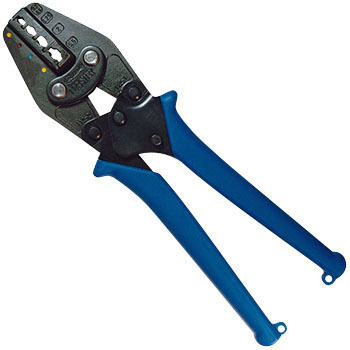 Until now, other crimping tools were substituted, but I got a special tool. It can be caught properly so it is safe. Ease of use is also not particularly worrisome. This review is about item#33031975. The operation feeling is good. Although it is smaller than the designated tool, it is the reason for choosing four types of terminals versatility widely. It is ★ 5 if it is engraved like a bare terminal tool.